Drs. Demler and Trigoboff are with the University of Buffalo, School of Pharmacy and Pharmaceutical Sciences, Department of Pharmacy Practice, in Buffalo, New York, University of Buffalo, School of Medicine, Department of Psychiatry in Buffalo, New York, and New York State Office of Mental Health, Buffalo Psychiatric Center in Buffalo, New York. Dr. Lysogorski is with the Department of Veterans Affairs and Western New York Healthcare System in Buffalo, New York. 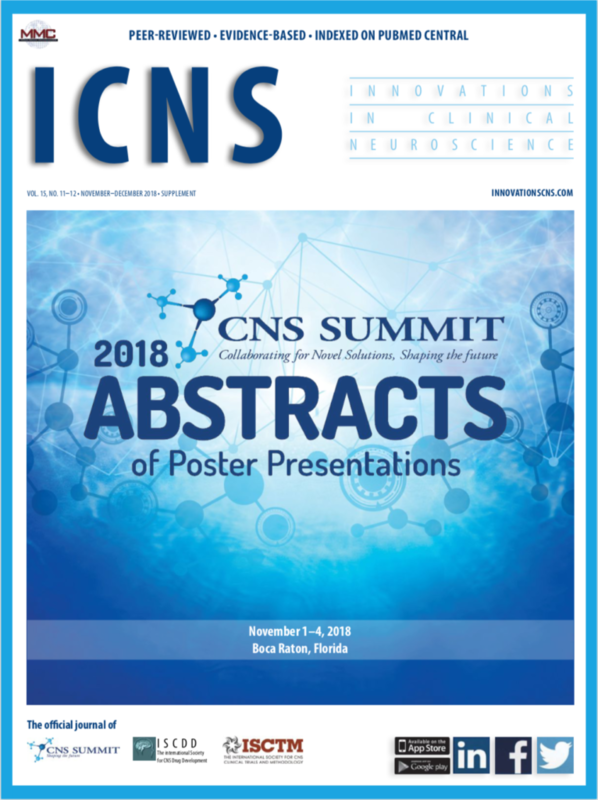 Abstract: Objective: Our study evaluates the potential psychiatric impact of the full phase of the moon on patients in a state psychiatric hospital in Buffalo, New York, between September 2013 and July 2018. Methods: This relationship is presented as the average number of restraints or seclusions (R&S) and code green psychiatric emergencies (CG) recorded 14 days before and 14 days after a full moon. Since the timeframe of the analysis included the August 21, 2017, solar eclipse, we also highlight the correlation between a partial solar eclipse and the number of CG events. We also compared full moon phase effects in 2017 to other years to benchmark whether the solar eclipse appeared to influence behavioral effects from baseline. Results: While there was a slight decrease in mean R&S on days where there was a full moon or in the month of a partial solar eclipse, the results were not considered to be significant or associated with human behavior. Conclusion: There was no real association between lunar and solar behavior and the actions of patients with psychiatric disorders. Despite the lack of scientific evidence, the belief that astronomical phenomena influence the emergence of psychiatric symptoms remains. This belief is not restricted to the general population, and studies have found that mental health professionals report believing that astronomical phenomena are associated with increased emergency department admissions, violent crimes, and patient agitation.1,6–9 To the contrary, some studies suggest that suicide rates decline in the periods leading up to solar eclipses.10,11 However, behavioral outbursts have been associated with altered prolactin levels during eclipses.12 To settle the debate, further investigation into the impact of these events on patients with mental illness is warranted. The primary hypothesis of this study was to determine if full moon phases increased the risk of aggression and agitation in adult patients with psychiatric disorders admitted for inpatient hospitalization at a state psychiatric facility. Secondary objectives were to evaluate the correlation between psychiatric behaviors and the partial solar eclipse and compare the full moon phase effects during the year of the partial solar eclipse to previous years. The study was approved by the Institutional Review Board of record for the facility (New York State Psychiatric Institute). A retrospective review of all agitation and aggression events reported in adult inpatients hospitalized at a state psychiatric center at any time from September 1, 2013, through July 31, 2018, was conducted. Reports of agitation and aggression were measured by the requirement of an emergent psychiatric intervention (code green [CG]) or the intervention of a restraint or seclusion (R&S) during this timeframe. To assess the relationship between lunar phases and these markers, data were separated into groups based upon temporal relationship to a full moon (i.e., full moon, 14 days before, and 14 days after). For the purpose of our study, a full moon is defined as 12 hours before and 12 hours after (a 24-hour model) the full moon phase aligning, with military time 0001 to 2400, according to hospital order standard time administration policy. Based upon the dates examined, our analysis included the rare occurrence of a partial solar eclipse in Buffalo, New York. A case report detailing the relationship between the eclipse event and psychiatric behavior has been published elsewhere.13 Since this analysis provides information for the period including and following this event, some results are summarized here. The inclusion criteria was male and female adult patients 18 years of age or older who were inpatients at the state psychiatric center at any time between September 1, 2013, and July 31, 2018. Individuals with a Criminal Procedural Law (CPL) designation were excluded. When looking at the temporal relationship to the full moon event from September 2013 to August 2018, our results substantiate there is no clinical indication that R&S rates or those of a psychiatric emergency differ substantially from that during a full moon. 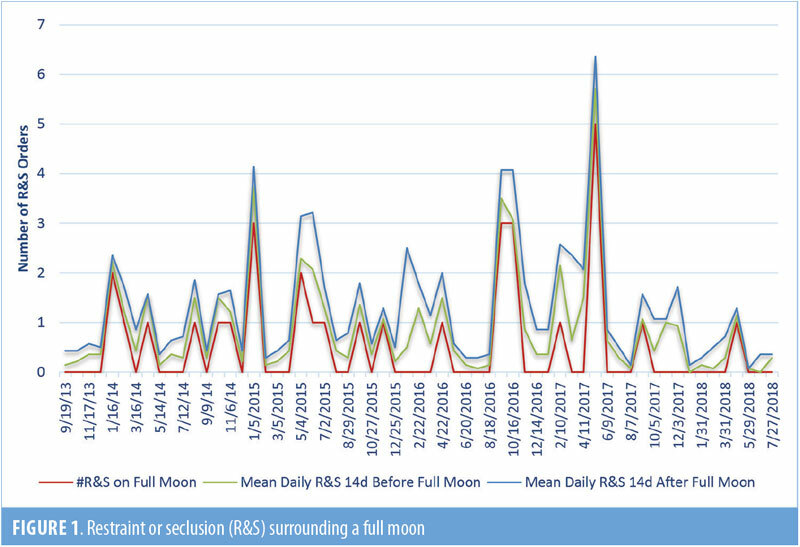 Our findings indicate slightly lower mean R&S and psychiatric emergency rates during the periods surrounding a full moon than on the date of the full moon phase itself. However, these differences are slight and were not considered significant. The August 21, 2017, partial solar eclipse fell between the August 7 and September 6 full moon phases. One R&S occurred during the month of August and was reported on August 29, 22 days following the full moon phase and eight days following the solar eclipse. Reported CG events occurred on August 12, 14, 15, and 16, with an eight-day gap during which the solar eclipse occurred, with the next reported CG occurring on August 23, two days following the solar eclipse (Figures 1 and 2). The rate of R&S would be expected to be lower than the rate of CG, given CG events are considered to be the first level of intervention that often mitigates the need to escalate to an R&S event. The only patient requiring restraint during the month of the solar eclipse was a 30-year-old African American man diagnosed with schizophrenia who had been an inpatient of the psychiatric center since November 18, 2016, and had been receiving inpatient care for 10 months. Between January and June of 2017, this patient required 40 R&S interventions (average 5 interventions per month). He required a manual restraint on August 29, 2017, eight days after the eclipse. Prior to this intervention, no R&S orders had been entered for this patient since June 2, 2017. There were no CGs or R&Ss for any patient on the day of the solar eclipse, which was August 21, 2017. The results of this analysis do not indicate any correlation between the monthly full moon phase and aberrant psychiatric behavior. However, it should be noted that the groupings used to represent the full moon phase might have inherently allowed for a lower event rate to be observed during the full moon due to the shorter time frame available for events to occur (Figures 1 and 2). In an effort to compensate for this, our results are presented as the average number of events per day. Likewise, our findings do not indicate that solar eclipses are related to behavioral decompensation of psychiatric inpatients. 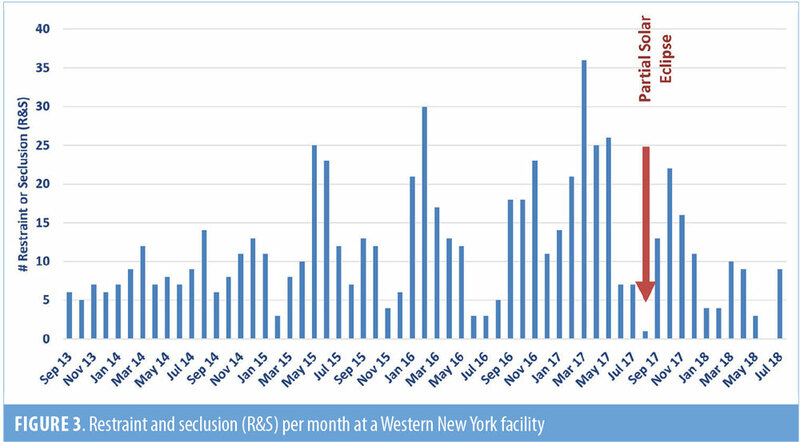 On the contrary, a reduction in R&S orders during the month of the solar eclipse was noted, with the facility achieving the lowest number of CG and R&S orders than the six years preceding the event. Lysogorski et al13 conducted a case study detailing these findings. However, our results indicate that the facility achieved a new nadir of zero CG and R&S orders in the month of June 2018. Of note, although all direct care staff at the hospital continued to participate in the annually required prevention and management of crisis situations (PMCS) workshop, an enhanced module that included additional de-escalation techniques, was implemented in March 2018, possibly contributing to the CG and R&S orders nadir recorded in June 2018. Tejedor et al5 reported similar findings regarding the impact of lunar phases on psychiatric behavior. The authors found no association between moon phases and psychiatric emergencies or behaviors of patients admitted. However, findings did indicate that an increased percentage of psychiatric hospital beds were occupied and a higher number of “hypnotic doses” were administered to admitted patients during periods of intensified moon brightness. Biermann et al3 used the number of suicides as a marker of human behavior and found no relationship between lunar cycles and the rate of suicide. A weak effect on choice of violent or nonviolent methods was noted around the absent or full moon phases, though this was deemed not statistically significant following adjustment for multiple statistical tests. Parmeshwaran et al14 conducted a study aiming to determine the relationship between the lunar cycle, lunar eclipses, and solar eclipses and the frequency of specific psychiatric disorders in patients treated at a tertiary psychiatric hospital in Goa, India. The authors found no correlation between the total number of psychiatric admissions and the lunar phase. However, the number of nonaffective psychotic disorder diagnoses increased on full moon days. This result was considered statistically significant for data collected in 1993, but it was not significant for 1997. No relationship between solar eclipses and diagnostic groups was found. 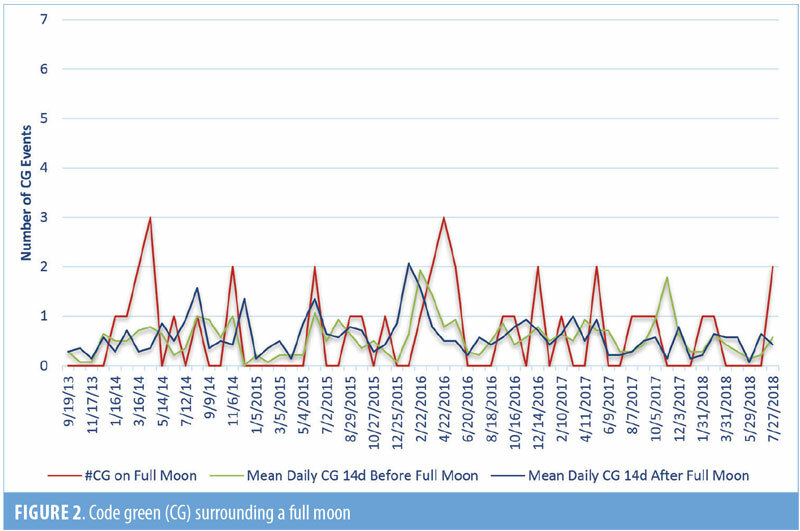 Results did indicate an increased average of new nonaffective psychosis cases during lunar eclipses, when compared to other days (average of 2 cases/day vs. 0.6, respectively). Due to the small number, statistical significance could not be determined. A 2002 analysis conducted by Voracek et al10 assessed the impact of the 1999 solar eclipse on rates of suicide in Austria. The researchers reported a reduction in suicides at four, three, and one week prior to the solar eclipse, with no significant changes in incidence on the date of the event. The authors concluded that anticipation of the eclipse might have served as a protective factor against suicide. As a follow-up to these findings, Voracek et al11 published a replication test detailing suicide rates in Latvia and Romania during the same 1999 solar eclipse. This analysis indicated the same trend in suicide reduction leading up to the eclipse in Romania, though no difference in suicide incidence was found in the weeks before, during, or after the event in Latvia. The authors postulated that the findings might have been different because Latvia fell outside of the path of totality for the eclipse. Limitations. Our study carries several limitations. Potential differences in patient demographics and the acuity of each patient’s psychiatric status throughout the timeline in question cannot be confirmed because the R&S events were only available as a de-identified quality management indicator. Likewise, changes in scheduled medication prescribing trends during the presented period were not evaluated. Since patient and medication-related factors are known to impact the need for R&S, it is important to note these limitations. In addition, a practice improvement measure was implemented as a performance improvement plan identified with strategic emphasis by hospital administration between the years 2011 and 2014 to reduce the use of high risk interventions, such as R&S. While this might account for the overall reduced quantity of orders between 2011 and 2014, an uptick in R&S orders was noted in 2015. The authors would like to thank Daniel Trigoboff, PhD, for his statistical recommendations. Raison CL, Klein HM, Steckler M. The moon and madness reconsidered. J Affect Disord. 1999;53(1):99–106. Wheeler WM, MacCoy CV, Griscom L, et al. Observations on the behavior of animals during the total solar eclipse of August 31, 1932. Proceedings of the American Academy of Arts and Sciences. 1935;70(2):33–70. Biermann T, Estel D, Sperling W, et al. 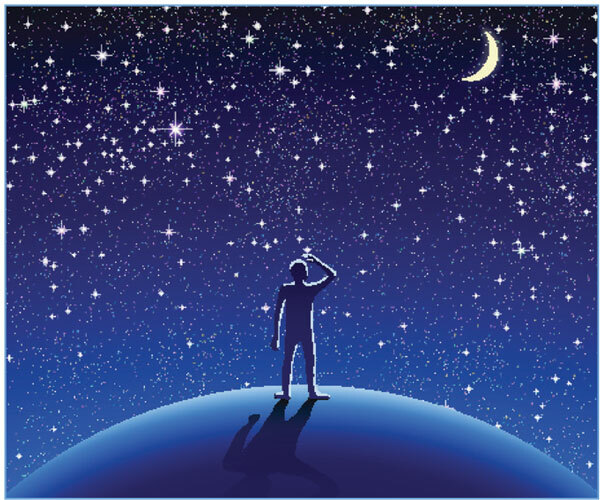 Influence of lunar phases on suicide: the end of a myth? A population-based study. Chronobiol Int. 2005;22(6):1137–1143. Parmar VS, Talikowska-Szymczak E, Downs E, et al. Effects of full-moon definition on psychiatric emergency department presentations. ISRN Emergency Medicine. 2014. Tejedor MJ, Etxabe MP, Aguirre-Jaime A. Emergency psychiatric condition, mental illness behavior and lunar cycles: is there a real or an imaginary association? Actas Esp Psiquiatr. 2010;38(1):50–56. Kazemi-Bajestani SMR, Amirsadri A, Samari SAA, Javanbakht A. Lunar phase cycle and psychiatric hospital emergency visits, inpatient admissions and aggressive behavior. Asian J Psychiatr. 2011;4(1);45–50. Rotton J, Kelly IW. Much ado about the full moon: a meta-analysis of lunar-lunacy research. Psychol Bull. 1985;97(2):286–306. Danzl DF. Lunacy. J Emerg Med. 1987;5(2):91–95. Voracek M. Solar eclipse and suicide. Am J Psychiatry. 2002;159(7):1247–1248. Boral GC, Mishra DC, Pai SK, Ghosh KK. Effects of total solar eclipse on mental patients: a clinicobiochemical correlation. Indian J Psychiatry. 1981;23(2):160–163. Lysogorski M, Demler TL. Shedding light on the potential implications of solar eclipse on psychiatric patients. J Neurol Neurocrit Care. 2018;1(1):1–4. Parmeshwaran R, Patel V, Fernandes JM. Lunar phase and psychiatric illness in Goa. Indian J Psychiatry. 1999;41(1):60–65.